A man created the LEGO of the Nick Wilde and exhibited in the LEGO Expo Ningbo, China. The sculpture which was created is Nick Wilde, the character of the fox in the Disney’s movie Zootopia. According to the reports, the artist named Zhao took three days to create the sculpture which is almost the human-size. After exhibiting this Lego in the Expo, the young boy has put the LEGO into pieces in less than an hour. 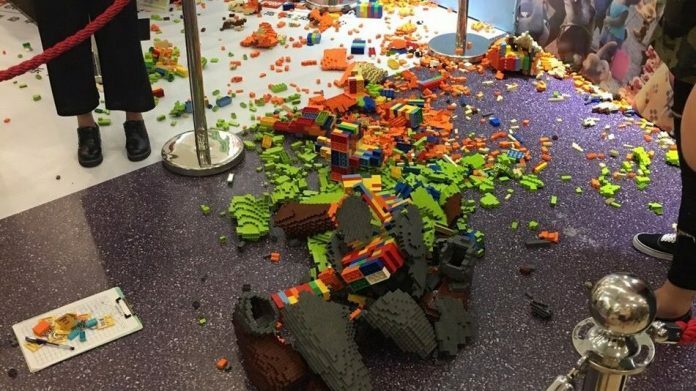 This incident is trending on the social network sites, and the users across the internet expressed the concern that the children had lack knowledge about the museum behaviour, and this led to cause more damage in this incident. It was pathetic after seeing the LEGO of Nick shattered on the floor which costs more than 100,000 yuan ($15,170). The parents of the kid have apologised for this unexpected incident, and they offered to pay the amount of damage caused. But the artist of the sculpture Zhao declined to accept the compensation from the parents. Moreover, he said the child did not do without any intention, and it just happened unexpectedly.